Samsung recently released the Galaxy S10 and S10+ models. They are high-end smartphones from a reputable company known for selling high-quality phones for many years. Many people are already buying the device, and as per news report, the S10 had been sold out in some stores in the UK the weekend it was released. The S10+ is selling even more than the Galaxy S10. Both in the US and the UK, the S10+ accounts for 57% of the sales made for two models. To achieve the best with your new Samsung Galaxy S10 and S10+. you will need to keep it charged to avoid disconnections at any time. In this post, we take a look at the best power banks that you need to recharge your S10 and S10+ on the go. We handpicked the most reliable ones to meet your needs for specific smartphones. Recharging your new Samsung S10 or S10+ on the go needs a portable power bank. 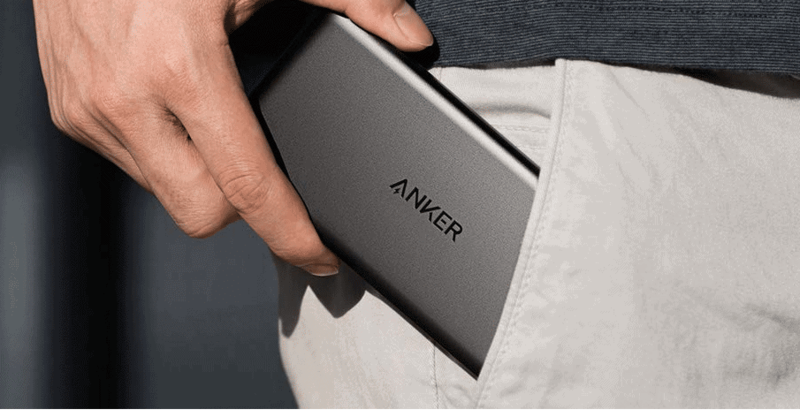 The Anker PowerCore II Slim is a light and slim design power bank that you can carry around in your pocket to power up your phone wherever you are. With an upgraded PowerIQ 2.0, which supports up to 18 Watt output, you are sure to have an efficient energy supply for your device. The Anker PowerCore II Slim features high power storage that can give your Galaxy S10 at least two complete charges. You can also use it with other phone models, including the iPhone and other Android smartphones. The 18W(9v 2.0A) output facilitates for fast charging, making you attain a 50% charge on your Samsung Galaxy S10+ within 30 minutes. To ensure that your power bank is ready for your next outdoor activities, you can connect it to the power outlet with your Samsung charger. Within 4 hours it is fully charged to help you on your trip, even if it lasts a whole day. When you need better quality, you have to take more power as well. The PowerCore II 20000 is another portable power bank manufactured by Anker. It holds more power capacity compared to the 10000 Slim mentioned earlier. This makes it suitable for charging your Samsung Galaxy S10+ multiple times. The power bank comes with the PowerIQ 2.0 technology for fast charging your mobile devices. It carries enough capacity to charge your Samsung Galaxy S10 for about 5 times by employing the USB-C connection. The two output ports allow you to recharge two devices simultaneously for efficiency. The power bank boasts of charging the iPhone 8 more than 6.5 times. The advantage of buying the Anker PowerCore II 20000 above the 10000 Slim is the storage capacity. You get more power to last you twice as much as the previous power bank. It makes sense if you travel to rural areas where power is sometimes a problem or you spend a long time offroad, like hikers. 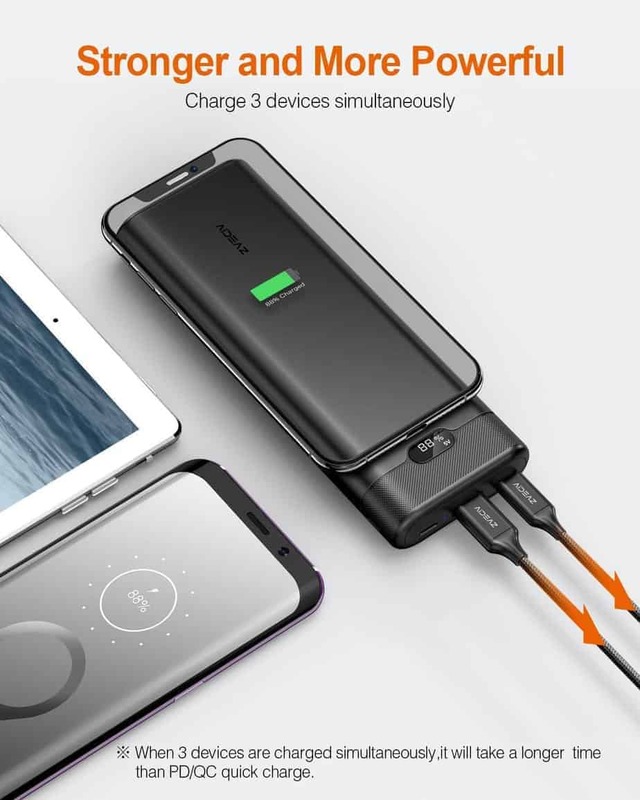 Packed with a big capacity battery, the Aideaz portable power bank delivers enough power to recharge your Samsung Galaxy S10 and S10 plus several times before it drains. 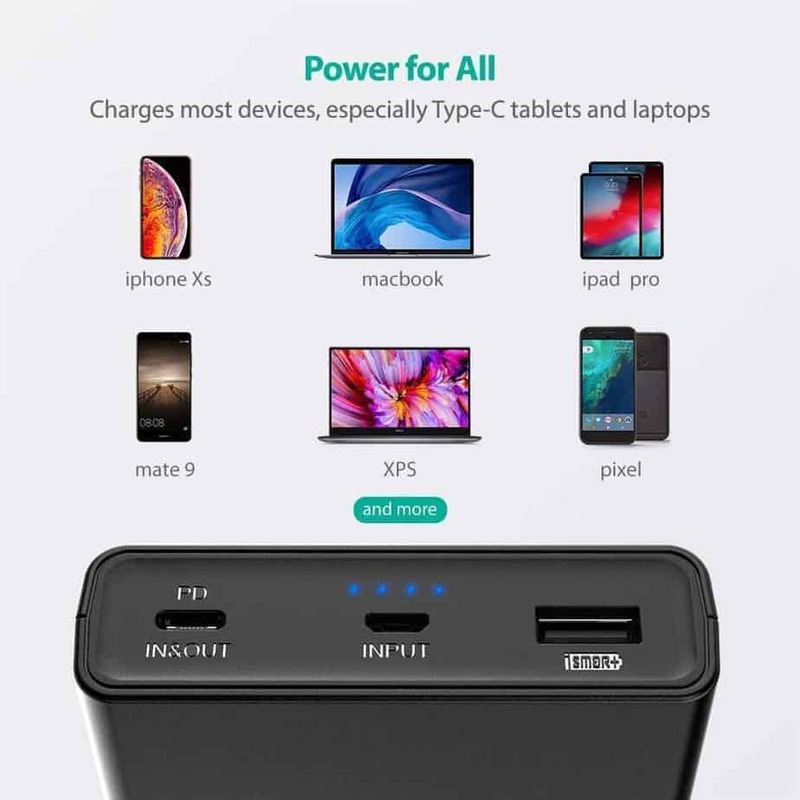 The power bank also comes with 18 Watts USB-C technology that allows you to employ the fast charge feature for all the compatible devices, including Samsung Galaxy S10, S10 Plus, previous Galaxy S series, and some iPhone devices. The Aideaz portable 20,000mAh power bank is also ideal for recharging laptops, tablets, and other devices. The compact design gives the power bank a small size for portability and efficiency for travelers, hikers, and outdoor activities, or even camping. The great feature is that the power bank supports wireless charging. 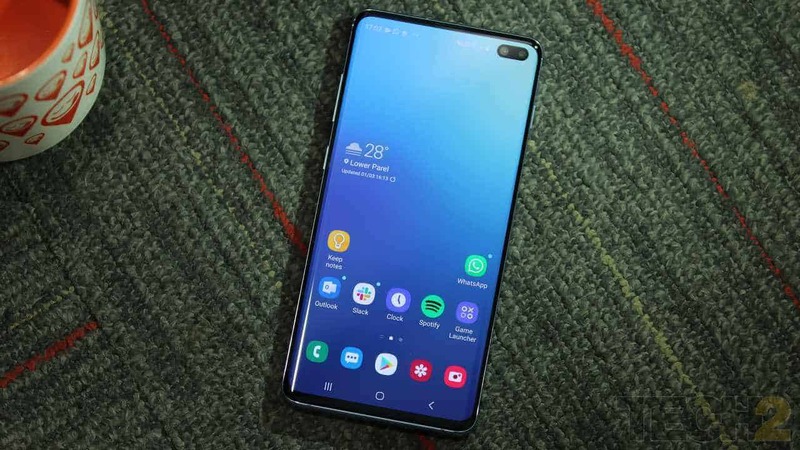 This feature, although not implemented on the Samsung Galaxy S10 and S10 plus, will be implemented on the Galaxy S10 5G when it is released later in 2019. 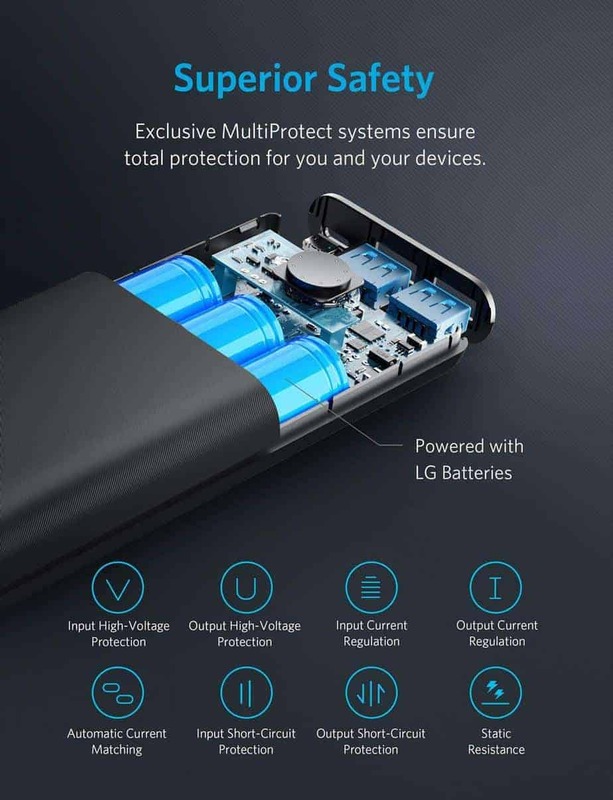 Among the top trusted power bank names, RAVPower appears to be a high-quality brand that you need for your daily needs. The RAVPower 20,100 mAh portable power bank is packed with enough capacity for a long trip. With 20,100 mAh, you can be sure to recharge your new Samsung S10 or S10 plus about 5 times before it gets drained. It is also ideal for recharging other devices like the 12-inch MacBook, iPhones, and many other phones and tablets. The power bank comes with 3 USB ports, including the USB-C that helps with the fast charging feature that many Samsung models support. For Samsung Galaxy S10, S10 Plus, and other compatible phone models, you can attain an 80% charge within 60 minutes. The power bank also supports fast charging power input to help you get a complete charge before you embark on your journey. For those who wish to remain loyal to the company, this power bank will facilitate faster charging of your phone when you are out. The power bank comes with 5,100 mAh capacity that helps you to recharge your Samsung Galaxy S10 and S10 Plus once when you drain the phone battery. You can, however, recharge other devices about twice with this power bank. This depends on the capacity of the phones you are charging. Pass through charging is a feature built into the power bank to help you recharge the phone while still charging the power bank from a power source. Recharging of phones goes up to 2A, and it also supports fast charge for the phones that support it, including the latest Samsung Galaxy S10 and S10 Plus. The advantage of this power bank is that it comes with the micro USB cable and the USB to USB-C adapter you need for a fast charge. Motuka is a tech enthusiast with knowledge of computers and gadgets. He also has interest in software and servers. Motuka employs his writing abilities to create valuable content to teach his readers on matters related to tech, and how to get the best out of their systems. WolfpackBOT is Set To Transform Cryptocurrency Trading Forever!